Walking is touted as being a good way to exercise for nearly all ages and fitness levels. It only requires a pair of comfortable shoes and can be done almost anywhere. 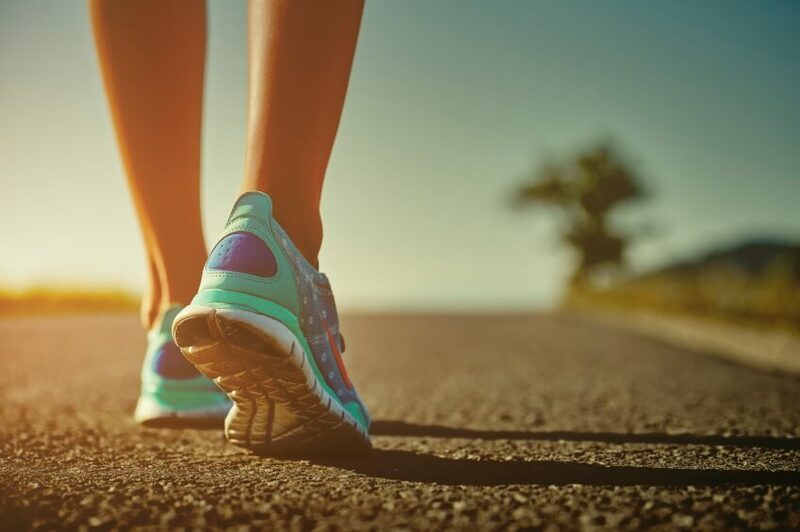 Walking provides a low-impact workout that strengthens calves and improves blood flow. In general, low-impact aerobic exercise is encouraged when you are trying to minimize or prevent spider veins. Elliptical machines and stationary bikes are good ways to get a workout since calf blood flow is improved and there is limited stress on bones and joints. Weightlifting can cause the type of abdominal strain that sends blood pooling in your legs. It’s sometimes recommended to incorporate resistance training into your routine instead of regular weight lifting. If you must include weights in your workout try to use smaller weights with higher reps. It’s also a good idea to walk or ride a bike right after to increase circulation. Crunches and sit-ups should be avoided when limiting the impact on the veins. Yoga is also something that is normally not recommended if you have spider veins. Abdominal posturing for prolonged periods of time can make the condition worse. Anything that creates extra strain and impact on the legs can contribute to problems with the veins in the legs. Varicose and spider veins can occur for a variety of reasons. Vein disease can cause inflammation, pain, and ulcerations in the lower part of the legs. There are different spider vein treatment options available for those suffering from varicose and spider veins. New York Metrovein, led by Dr. Adam Y. Goldman, offers a variety of procedures to treat vein conditions. Contact us today at (914)-295-2202 for a free consultation.